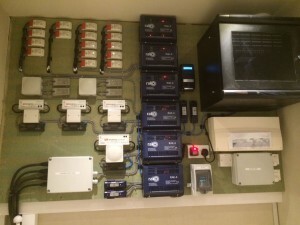 As electrical contractors we are in the business of bringing power, light and communications to your building, whether this is a domestic, commercial or industrial facility. 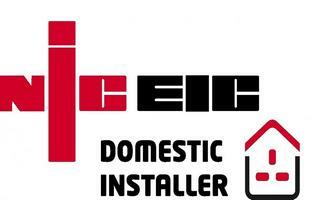 To reinforce our reputation we have been approved contractors with the national inspection council for electrical installation contracting (NICEIC) since 1983. This is a government approved organisation to offer a competent person scheme to oversee electrical work within the electrical industry. Our commitment to a safe working environment is paramount at all times hence we employ Lloyds health and safety consultants to oversee and advise on our practices and we have been awarded accreditation with Safecontractor who audit our health and safety annually. Safecontractor is a leading third party accreditation scheme which recognises very high standards in health and safety management amongst UK contractors. As an organisation we take our health and safety obligations very seriously. 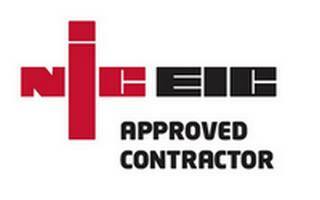 We hold the Safecontractor accreditation, a health and safety accreditation assessment scheme. We ensure that our contractors working on our clients premises operate in a safe way, this Safecontractor approval demonstrates our health and safety competence.